The Arctic Tern carries out an average annual round-trip length of 44,000 miles, an incredible feat for this natural wonder of the avian world. Arctic terns, the birds with the longest migratory route. One of the greatest mysteries of the natural world is bird migration. Why do they do it? No one truly knows. Our answers all have come from observations and making theories, yet it still remains enshrouded in mystery. Bird migration is a seasonal movement of birds where birds fly to different regions between breeding and wintering grounds. Almost all species of birds migrate. Migration also has high costs in the form of predation and mortality of birds. Birds often get hunted during migration by humans and other predators. Different birds have different lengths of migration. Among them, one of the birds with the longest migration routes is the Sooty Shearwater. The Sooty Shearwater travels about 40,000 miles in migration. 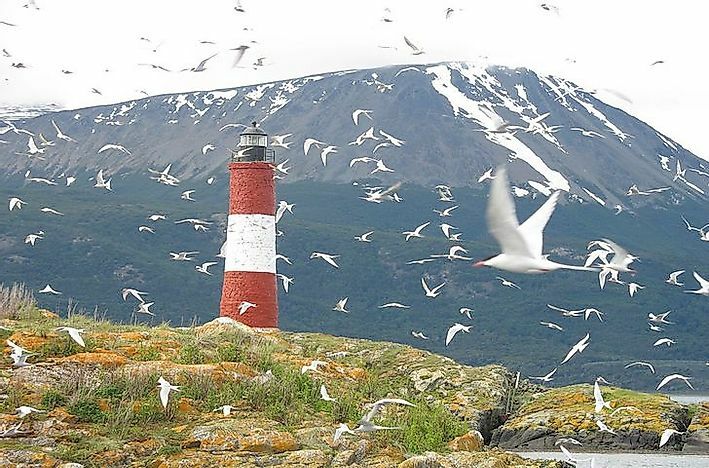 The bird travels a circular route during spring; from the Falkland Islands to the Arctic waters to find food throughout the summer, and then they travel back the same route to the Falkland Islands during fall. They cover about 310 miles per day and travel every year the same circular route. They used to be the birds with the longest migration time until the Arctic Tern was discovered to fly 44,000 miles during migration, a longer distance than the Sooty Shearwater. Researchers once thought that the Arctic Tern flew only half of what it actually does, but with careful observations, they have found that they were wrong. The Arctic tern moves from Greenland all the way down to the Weddell Sea in Antarctica. The Arctic Tern’s migration is quite fascinating. It moves from breeding grounds to feeding grounds on a consistent basis, constantly moving pole to pole. Other birds have their own fascinating chain of events in their migration, but none travel as much as these two species of birds. Scientists studying bird migrations have made many interesting observations in this field of study. The most recent one has been about the cuckoo, which has revealed that not only are these birds capable of finding their way through unknown locations but it is how they do it which is astonishing. They go through a complex decision -making process when it comes to where they migrate and how they migrate. Researchers were able to find this out by observing the cuckoo’s movements by satellite technology. Researchers relocated 11 adult cuckoos from Denmark to Spain; far from their regular migration route. The birds moved towards the different stopover areas which they usually find along their normal routes. The discharge site was totally obscure to the cuckoos, yet they experienced no difficulty discovering their way back to their ordinary transitory course.